Benefits of Contributing everything Sports ! We have this very exciting contribution Program where you can write about your favourit sports and make money at the same time, we are offering $5 for every sports article accepted into our contribution program which can increase to $10 if you become premier publisher. You will get an Author’s page which will have your bio and all of your published articles with statistics of page views. You article will be featured on the homepage of TSMPLUG.COM and will be exposed to 30,000 daily traffice. Popular articles will be listed on every page of the site, and you can follow how many views article is generating. For every approved article you will get$5 added to your account. 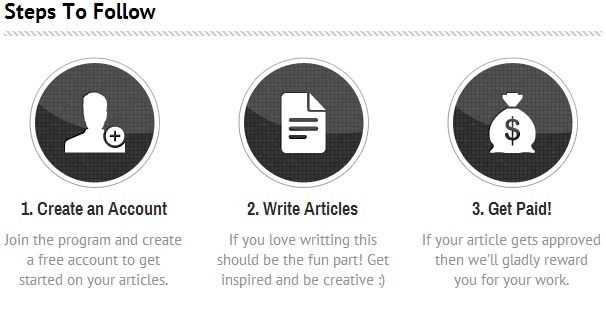 Tip: So write as much as you can build your following on TSMPLUG and become a premium paid publisher! Here are a few guidelines you have to follow when submitting an article on our system. please read through the points and you are all set to make money writing sports. All articles submissions should be unique and exclusive. immediate ban for any type of abuse in our program. Editors has the right to reject any submitted article. Editors has the right to change/modify any article. Only Paypal is accepted as payment option. Since 80% of tsmplug traffic is from search engines, that is why we only accept articles which provide the user exactly what they are looking for, so please read through the points below. Minimum 400 words, less than that won’t be considered. No duplicate policy here, instant rejection for duplicat content. What Topics Are Accepted ? For topics suggestion please contact us here. We can guide you what topics we are looking and what format you need to write it will save you alot of time. [email protected] – I’m not able to contact the TSM Plug team via the ‘contact us’ page. Do send me a mail so that i can start publishing articles based on cricket and football! I can not communicate with you guys through the ‘Contact Us’ form. I want to work with you. Please knock me at [email protected].